Highlights from the Boston Marathon’s 122-year history. 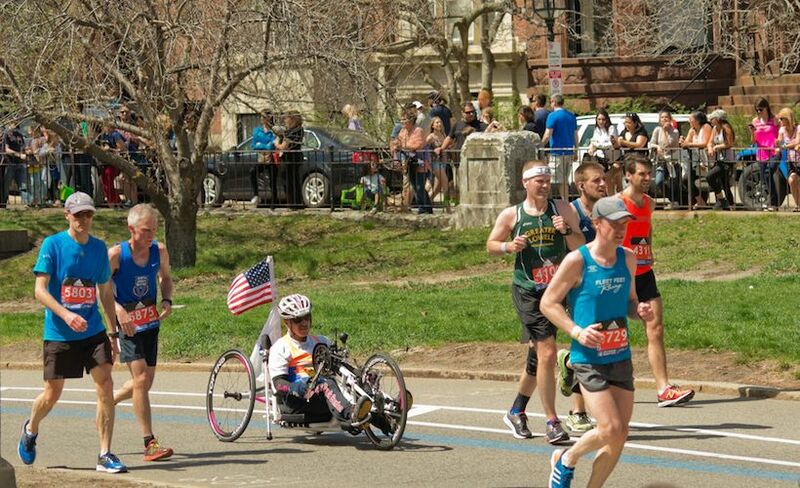 The Boston Marathon is a bucket list race for elite and casual runners alike. So how did this local New England road race grow from 15 to 30,000 entrants and transform into one of the world’s most iconic marathons? Commonly regarded as one of the most challenging marathon courses. 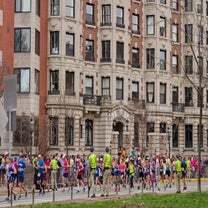 Boston is also one of the six World Marathon Majors. Anyone aged 18 or older can compete, as long as they meet the official qualifying standards. With anywhere between 500,000 and 1 million spectators each year, it is New England’s most widely viewed sporting event. Entry was initially free and winners received an olive branch wreath. In 2018, the top overall/open division male and female will each receive $150,000. The Boston Athletic Association’s symbol, which has come to also symbolize the Boston Marathon. 1897: First Boston Marathon. Originally called the American Marathon, the first winner was John J. McDermott with a time of 2:55:10. The course was 24.5 miles, starting at Metcalf’s Mill in Ashland and ending at the Irvington Oval in Boston. 1924: Course adjustment. Due to the new Olympic standard, the marathon was lengthened to 26 miles and 385 yards, and the start moved to Hopkinton. 1966: Roberta (Bobbi) Gibb. First woman to run the full marathon after joining the race from a hiding spot in the bushes. She finished in 3:21:40, without an official race number. 1967: Kathrine Switzer. Obtained an official race number after registering as K.V. Switzer. Once they realized she was a female entrant, B.A.A. officials attempted (unsuccessfully) to remove her from the course. Switzer finished the race with a self-estimated time of 4:20:00. 1972: Nina Kuscsik. First official female champion with a time of 3:10:26. 1975: Wheelchair division. 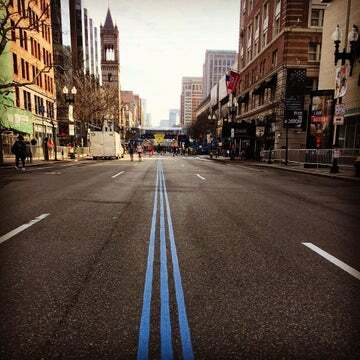 Boston became the first major marathon to offer this division. Bob Hall was given the chance to compete, as long as he finished in under three hours and 30 minutes. Hall finished in 2:58:00. 1986: Prize money. Awarded for the first time by principal sponsor John Hancock Financial Services. Ingrid Kristiansen of Norway received $39,000 and a Mercedes-Benz for her 2:24:55 win. 1996: 100th race. This year welcomed 35,868 official finishers, which remained the most of any marathon until 2004. 2003: Qualifying times. The maximum field size was capped at 20,000 runners. 2007: Earlier start. The start time for the race was changed to 10 a.m.
2010: Stricter standards. In eight hours and three minutes, 20,000 runners claimed their marathon entries, thus resulting in another readjustment to qualifying standards. 2012: Scorching heat. Temperatures peaked at almost 90 degrees, with 2,200 runners requiring medical attention on the course. 2013: Boston bombings. Three spectators were killed and approximately 264 others were injured by homemade bombs, which detonated near the finish line on Boylston Street. 2014: American hero. Inspired by the opportunity he had to run just one year after the Boston bombings, American Meb Keflezighi became the first American winner in 31 years with a personal best time of 2:08:37.